Why aren't the Pictures that the Techs capture showing up in the Location Documents any longer? Why aren't the Forms showing up in the Location Documents any longer? No Pictures in Location Documents. Dropbox issues. 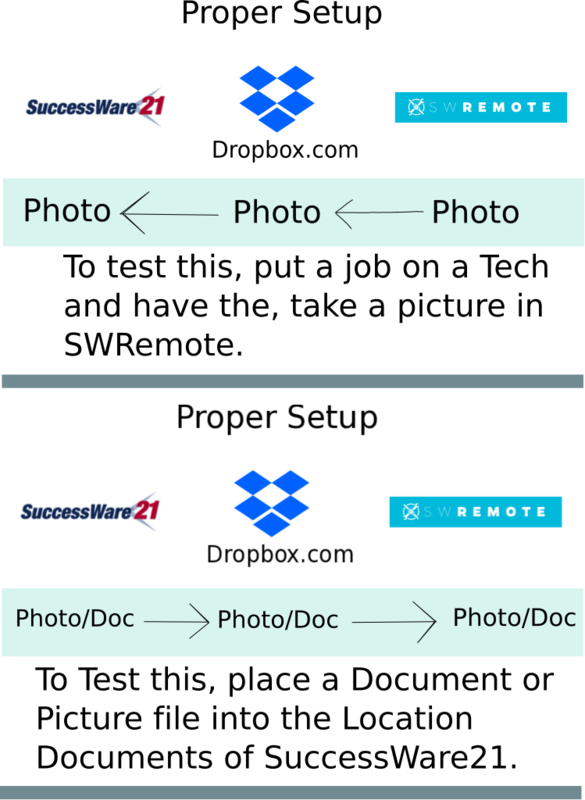 It is also possible to have SuccessWare21 attached to one Dropbox account and SWRemote to another. This is another improper setup. 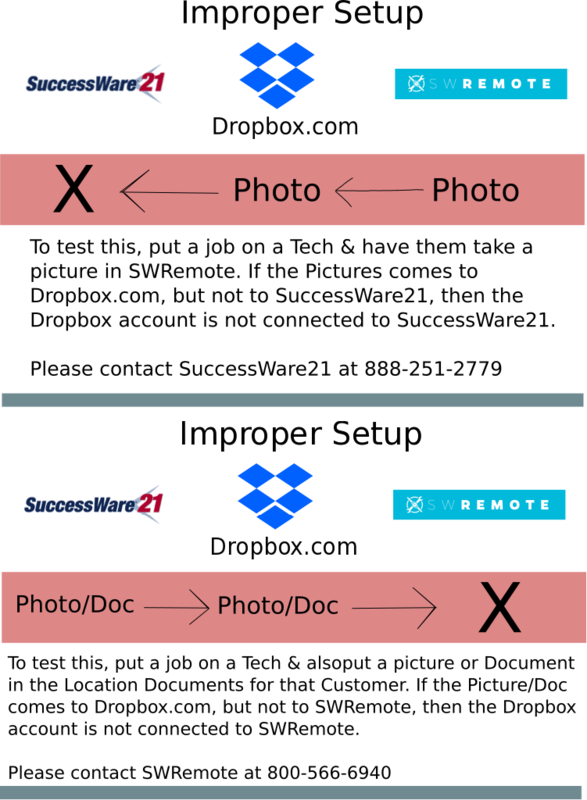 SuccessWare21 and SWRemote must be connected to the same (single) Dropbox account. Lastly, the Dropbox account itself may be out of storage space. You may have reached your Storage limit for Dropbox. To check on this, Login to Dropbox.com itself. On the top right, if you click on your Account Name you will see a dropdown come up. This will display the current space used and the max space available (as seen below).